A Holy Communion Service was held at the Priory tonight acccording to the rite of 1662 and the propers for Charles, King & Martyr subscribed for use by his son after the restoration of the Monarchy. Charles 1, ‘the Martyr King’, has inspired more intense feelings than any of our other sovereigns. The Stuart charm and charisma, lacking in his father James 1, were present in him in full measure. Charles born in Scotland, was the second son of James and had a very difficult childhood he was delicate and unable to either walk or talk until he was three. His elder brother died at the age of 18, when Charles was 12 and consequently he became Prince of Wales at the age of 16 and next in line for the throne. He succeeded his father in March 1625 and was crowned on Candlemas Day 1626. These were turbulent times, the Reformation had destroyed the power of the Roman Catholic Church in England and the Tudors had allowed a growth in the power of Parliament. James had his quarrels and when insisting on the ‘Divine Right of Kings’ Charles encountered the same troubles as his father. After summoning and dissolving Parliament three times, he governed without them for eleven years and eventually came the inevitable clash in 1640 when the Civil War began in earnest. After a bitter conflict of changing fortunes, family against family the Royalist Army suffered a crushing defeat in 1645 at Naseby. In the aftermath King Charles and the remnants came to Wales to raise support from his supporters in Wales and particularly here in Monmouthshire with the Herberts. He visited Abergavenny and held his Court in the Priory House spending some 6 months in the area. Charles eventually surrendered to the Scots in 1646 who promptly handed him over to the English. He was brought to trial in Westminster Hall before 135 Judges but he refused to recognise the legality of the Court. He did not plead and was found guilty by 68 votes to 67. Sentence of death was passed and on 30th January 1649 he was beheaded on a scaffold outside the Banqueting Hall in Whitehall. His last word was “Remember”. The people present groaned and as his blood was spilled they pressed forward to soak their handkerchiefs in his blood. He had become the “Martyr King”. 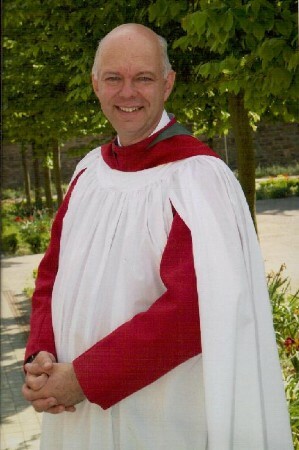 We are pleased that Tim Pratt our Director of Music has been awarded the Archbishop of Wales Award for Church Music. The award is given to Tim for his contribution to music in the Diocese of Monmouth in general and at St Mary’s Priory Church in particular. Tim is Headmaster of Caerleon Comprehensive School having previously worked at St Teilo’s Church in Wales School, Cardiff. The A.W.A.C.M. is a major award which is aimed very much at senior and professional level for those who are organists and choir-trainers. It was originally created by Archbishop Alwyn Rice Jones in consultation with a former Cambridge choral scholar, the late Mr David Blott. For some years David was the Organist of Wimborne Minster in Dorset, and on his retirement he and his wife Margaret made their home here in Wales at Dyserth. The A.W.A.C.M. was first conferred in 1997, and amongst those who have been honoured are the organists of several of the Welsh cathedrals together with the organists of a number of parish churches in both North and South Wales. The Award aims to encourage and recognize the work of those achieving exceptional standards in church music, and who have devoted a significant amount of their time serving within Wales. The award will be presented by the Most Revd Dr Barry Morgan , Archbishop of Wales, at a Service in All Saints Church, Oystermouth on April 26th. A doctor, a policeman, a politician, a journalist and a lawyer walk into a church. No, it’s not the beginning of a bad joke but the cast list for a series of Lent sermons. So what have they got in common? With the exception, perhaps, of the doctor, they are all professions which have been under fire lately. The police have gone through the ‘Plebgate’ incident, politicians and journalists are perpetually believed to be self-serving, there are some who wouldn’t give the time of day to a lawyer and even doctors are having a rough time in the aftermath of the Mid-Staffordshire enquiry. So, if these professions are not always seen as wholesome, what about the people in them, particularly those who profess the Christian faith? This Lent, there is a chance to find out more during a series of 6pm Evensong Lent sermons at St Mary’s Priory Church, Abergavenny—entitled Faith in the Workplace—during which some key figures reflect on how their faith impacts on their work. It is 75 years since Kristallnacht (Night of the broken glass) a massive programme by the Nazis to round up Jews. The name Kristallnacht comes from the shards of broken glass that littered the streets after Jewish-owned stores, buildings, and synagogues had their windows smashed. Such atrocities by humankind have continued in Darfur, Kosovo and elsewhere. Pupils from Cantref Primary School and Henry VIII School will help us remember the victims of such atrocities and promise to ensure it does not happen again at a Holocaust Memorial Day Service at 11.30am on Monday, January 27th. 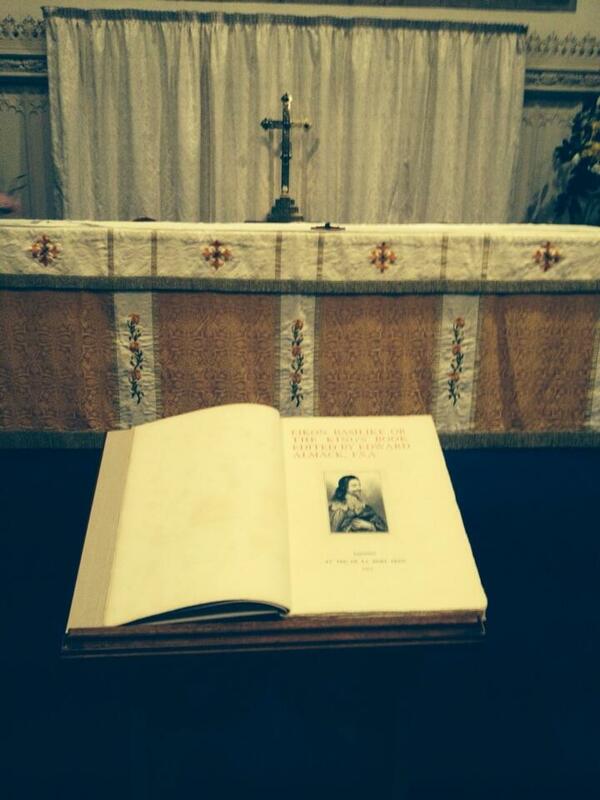 The small choir will lead 1662 Book of Common Prayer Holy Communion including the proper propers for the day. Announcing the service Fr Mark commented “It’s strange to think that a little Welsh town like Abergavenny might have a role to play in national affairs, but during the Civil War of 1642-45, it did. King Charles I himself stayed at the Priory, planning his next move against the armies of Parliament. The old Priory House may have been the location of his last Court. He presided over the trial of Sir Trefor Williams who changed sides in the Civil War”. 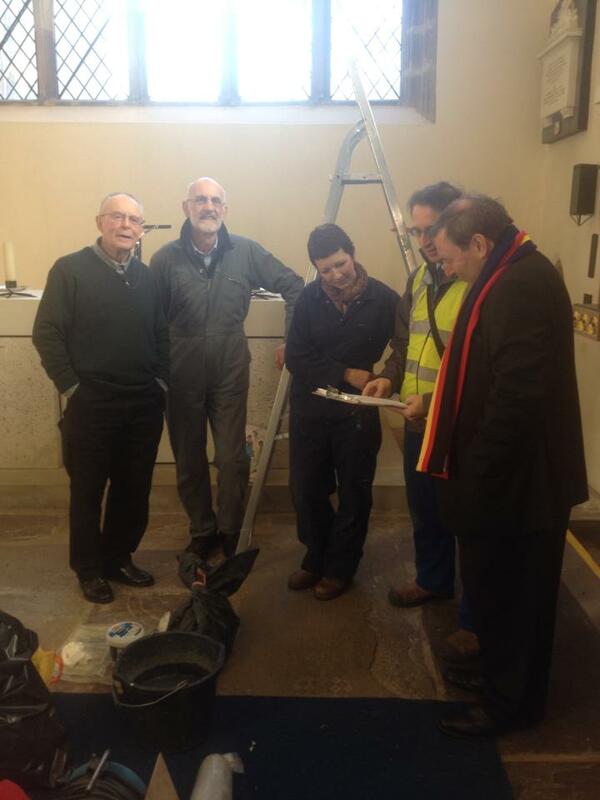 Two years after a Memorial was launched for the late Dean Jeremy Winston inital work has begun on the East window of the Lewis Chapel. Next week scaffolding will go up on the exterior of the window frame that is to house the new Jesse Memorial Window. The scaffolding will allow the Priory Architect to inspect the state of the stonework and the Window designer, Helen Whitaker to make more detailed measurements. The window chosen from a design long list of five will re-create the rest of the Tree of Jesse and will complement the Priory Church’s unique wooden Jesse Tree. The Vicar Fr Mark Soady said, “It is exciting to see something happening on site after two years of planning, but that excitement is tempered by knowing that we still have to get final approval for the design from the church authorities”. To date the memorial fund has raised around £35,000 locally and has raised a great deal more from grants. 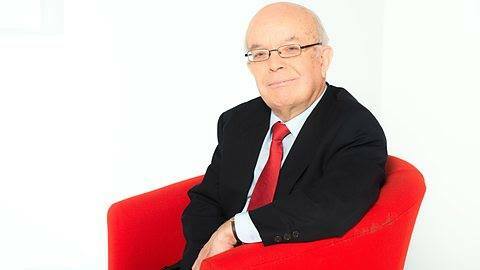 The Revd Roy Jenkins, Presenter of the BBC Radio Wales programme ‘All things Considered’ will be our Preacher at the Week of Prayer for Church Unity Service at the Priory Church on January 24th at 2.30pm. This year’s theme The Well is Deep comes to us from the churches of Brazil. Brazilians, who have traditionally been tolerant of their various social classes and ethnic groups, are now living through a time of growing intolerance made manifest in high levels of violence, especially against minorities and the vulnerable. The logic that undergirds this kind of behaviour is competition for the religious market. Increasingly, in Brazil, some Christian groups compete with one another for a place on the mass media, for new members and for public funds. Roy in his own words, on his career from journalist, to minister and broadcaster. “My 13th birthday was still two months away when I began writing weekly cricket reports for the long-lamented Abertillery weekly, the South Wales Gazette. I was still in short trousers, but nobody seemed bothered. “My love affair with newspapers had begun, and it’s never gone away. “Being a Gazette reporter (the Gazette’s only reporter, as it happened) demanded a willingness to assume a certain authority in all sorts of area where my knowledge was not exactly comprehensive: with weddings and funerals, in courts, councils, flower shows, operatic performances. Instant expert on everything! “Then followed a few years with the South Wales Argus in Newport, study at the Baptist college in Cardiff – and long, and what seemed at the time very profitable, vacation jobs with the South Wales Echo and The Western Mail. “For seven years, between 1971 and 78, I was minister of Penrallt Baptist Church in Bangor. Two thirds of the congregation were students from a wide range of countries. “Then I came to Ararat Baptist Church in Whitchurch and stayed between 1978 and 1990, from where I joined the BBC full-time as senior producer of religious programmes. “I went on to present many of the religious programmes produced for Radio 2, Radio 4, the World Service, and Radio Wales, and have been the presenter of All Things Considered since 1992. The Week of Prayer for Christian Unity is traditionally observed from the 18th to the 25th January – the octave of St. Peter and St. Paul.